St. George, Utah MLS real lstate, prospering in the heart of Southern Utah, is defined by its dazzling red cliffs, 12 golf courses, and sapphire blue skies. The city buzzes with many boutique shops, an air-conditioned mall, advanced convention facilities, a state-of-the-art medical campus, Dixie State University, a new municipal Airport, and of dining establishments, hotels, and spas. St. George, Utah has regularly been ranked as one of the best places to live in the country by Money.com and Forbes magazine. Rated as one of the best small communities for both business and careers. 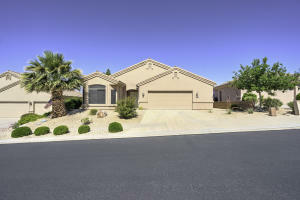 With outstanding retirement amenities and one of the lowest crime rates nationally, St. George is a great place to live, regardless of whether you are purchasing your first home or just looking for that perfect retirement community. Alex Yeager with Engel & Völkers is a seasoned expert in negotiations and specializes in St. George Utah golf homes and Southern Utah equestrian properties. With the help of this website and our full-service team, you have just found the perfect resource center for buying and/or selling your next property in the “Palm Springs” of Utah. Alex Yeager: Seasoned. Professional. Experienced. The March St. George Utah MLS Real estate sales report indicates it was another strong month for closed escrows in Washington County, Utah. Realtors with the Washington County Board sold 284 listings classified as either a single-family residential home or a condominium/townhome. St. George, Utah – From March 1 through March 30, Realtors with the Washington County Board successfully closed escrow on $104,793,747. A testament to southern Utah’s reclaimed title of the fastest-growing metropolitan statistical area in the United States, my reported total represents a large fraction of the overall transactions completed the last 30 days. Through this Real Estate website, you’ll have the ability to search virtually every home for sale in the greater Saint George area, as well as the surrounding local communities. 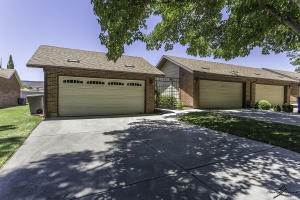 In addition, 435MLS.com provides direct access to MLS listings for Ivins, Santa Clara, Bloomington, and Hurricane featuring comprehensive community information for Washington County. As there are hundreds of luxurious single-family residential listings available, the searches have been broken down by individual communities below. 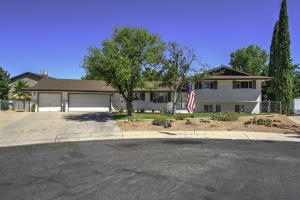 Real Estate in St. George Utah Bounces Back! For those taking the amazing scenic route for the first time through the Mesquite/St. George Gorge, around Snow Canyon/Entrada, or up to The Ledges of St. George – be prepared to be stunned! Our area is rich with breathtaking natural beauty and has long known for its ability to inspire inner tranquility. Generally, when prospective buyers come into town, they’re internally measuring our community against others they’ve seen in their hunt for that perfect place to retire, or raise their fast growing family. With these interests in mind; taking clients that I hope to make satisfied buyers around to some of the more awe-inspiring communities – of which there are many – often seals the deal for St. George. Lining the Snow Canyon Parkway are homes with million-dollar views sitting perched in the Paradise Canyon, Castle Rock, and Kachina Springs subdivisions, with vistas of the St. George Valley. Just a few minutes drive to Southern Utah’s outdoor theater, Tuacahn, the summertime performances are generally outstanding at this outdoor amphitheater. Complete with a grandiose red rock backdrop for their outdoor venue that shines as the true “Star,” with a little imagination it’s easy to envision John Wayne riding off into the sunset – silhouetted on his horse in full stride. One quick tour around St. George’s luxury communities, highlighting all that our community has to offer… and the search is over! Our once potential buyers are suddenly, very real. With the aesthetics question, “Can I live in St. George Utah?” answered, we get to the meat of many concerns of our potential out-of-area homebuyers: “Has the area’s real estate market stabilized?” and, “Are the properties appreciating yet?“. 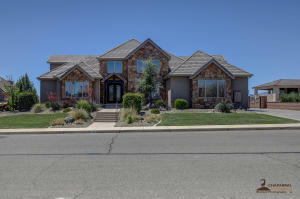 The bottom line is this, the St. George area real estate market has more than stabilized. Today’s real estate market in St. George has made some incredible progress. As the financial lending institutions loosen their once-tight purse strings, mortgage products are now becoming more readily accessible to the general public. As a result, St. George has witnessed some encouraging appreciation over the last couple of years. Of course, there are always the fiscally responsible “all-cash” retirees, the one’s that don’t need the bank to help them accomplish their goals, but generally speaking, our high-end and affluent buyers of recent have been the visionary investors who understand our value. 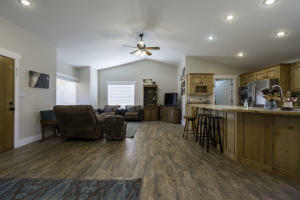 St. George Utah – the “Average” list price of a open house on today’s Southern Utah Open House Directory is $416,414 – or $160 per square foot. Of today’s 18 open houses available in Washington County, four are new to the FlexMLS system with one listing receiving a price reduction of over $50,000. Back on the MLS after falling out of escrow on August 11, 2018, the real estate listing for sale at Sand Hollow Resort has a cumulative days on market (DOM) of 357 days. The reason for mentioning the total DOM, is that the longer a listing remains on the MLS, the more anxious the seller becomes. A potential point of future negotiations for buyers to consider, the cumulative DOM is a direct reflection of how potential buyers view the listing’s per square foot price-point, location, and amenities. Escalera is conveniently located near the Red Cliffs Desert Reserve. Escalera provides over 60,000 acres of seemingly endless and open space for miles of hiking or biking. In the heart of Washington County and center of St. George, Escalera is only a few short minutes away from I-15, shopping, schools, city parks and The Green Springs Golf Course. The subdivisions lot sizes range from 10,000 to 12,500 sq ft. 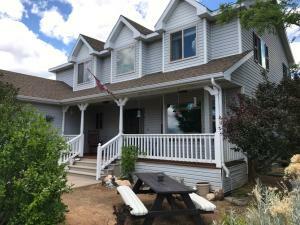 Per the Washington County Board of Realtors FlexMLS system, the 18 open houses available today in southern Utah have a collective value of $7,495,448 – with an average list price of $160 per square foot. Located throughout the greater St. George area, the open houses can be found in the following subdivisions: Almond Heights, Bella Vista at Stone Mountain, Bloomington Country Club, Bloomington Hills, Brookhaven Fields, Coral Canyon, Dixie Pine Meadow Townhomes, Escalera, Foster Hills East, Harrisburg, Jedora Estates, The Knolls at Little Valley, The Legacy at Southgate, Sand Hollow Retreat, Tamarack Estates, and White Sage. All photos provided by the Washington County Border Realtors, the Flex MLS System, and the listing Realtor. * Information is deemed to be reliable but is not guaranteed. © 2018 MLS and FBS. Prepared by ALEXANDER YEAGER, 435MLS.com on Saturday, August 18, 2018. St. George, Utah – The Average List Price of an open house this weekend in southern Utah is $518,674, or $169 per square foot. Located throughout the greater St. George area today’s 10 open houses have a collective value of $4,766,543. Of today’s 10 available open house real estate listings, there is one listing that’s been on the to multiple listing service for more than 130 days. A potential point of future negotiations for buyers to consider, the “Cumulative DOM” (Days on Market) is a direct reflection of how potential buyers view the listing’s per square foot price-point, location, and amenities. The Median List Price of a home on today’s Open House list today is $427,925, or $150 per square foot. 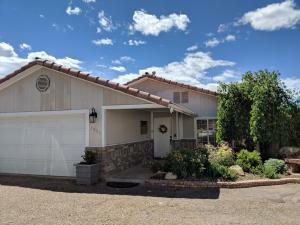 And per the WCBR’s FlexMLS system, today’s 10 open houses can be viewed in the following southern Utah subdivisions: Sunriver, Silkwood, Santa Clara, Foremast Ridge, Dammeron Valley, Dixie Green Condos, Cottonwood, and Coral Canyon. Comments: 3 bedroom with a private pool in Coral Canyon! *Information is deemed to be reliable but is not guaranteed. © 2015 435MLS and FBS. Prepared by ALEXANDER YEAGER, 435MLS on Sunday, July 7, 2018, 4:20 AM.